A nation waits in earnest as Andy Murray prepares to take on Novak Djokovic for the Australian Open title, and this is the Scot’s best chance of ending his search for a major. Whether you’re a lover or hater of Murray, the Australian Open final is the biggest sporting event of the year so far and offers plenty of betting opportunities for Murray’s admirers or harshest critics. The bookies are expecting a huge gamble on Murray come Sunday morning and punters may want to get in and take the 11/10 for Murray to win early, and new customers to Ladbrokes can receive a bonus £25 free bet by signing up here. Following his demolition job on Roger Federer in the semi-final, Novak Djokovic has been installed as the 4/6 favourite and having won the Australian Open before, the Serb can use the experience to his advantage. Combined, the two players have dropped just three sets on their way to the final and a match-up between the two form players of 2011 is sure to prove a tight affair. Looking at the head-to-head record between the two – Djokovic has four wins to Murray’s three but Murray has won the last three meetings – only one of the matches has gone the distance. But the two have never met in a Grand Slam and five sets can be expected in a war of attrition that Murray can edge 3-2 at Australian Open odds of 11/2. 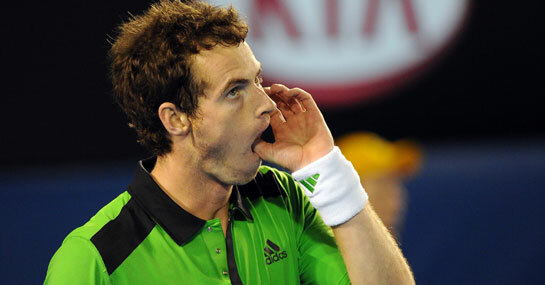 Usually in these ties the player who wins the first set goes on to win the match and Murray is 2/1 to do just that. But in the one match that went the distance, the winner came from a set down to win and over five sets, the 5/1 for Murray to lose the first set but win them match looks the value. A £25 stake on Murray winning 3-2 would return £162.50. New customers can sign up here for a free bet worth £25.